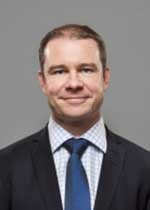 Simon Garrett is Consultant Orthopaedic and Trauma Surgeon. After Specialist Registrar training in Wessex, he undertook two specialist Hip & Knee Arthroplasty fellowships in Perth, Western Australia. He was appointed as a Consultant Hip and Knee Surgeon at Dorset County Hospital, Dorchester in 2010 and he specialises in hip and knee surgery. His practice includes hip and knee replacement, revision hip replacement, hip and knee arthroscopy and he uses the latest proven technology and implants. Mr Garrett's main area of subspecialty is causes of hip/groin pain in the ‘younger’ adult. He performs hip arthroscopy treating a wide variety of conditions including labral tears and hip impingement. Other hobbies include cinema and music. Mr Garrett is always looking for ways to improve patient outcome following surgery. He has recently published a paper regarding the use of a new pain-relieving bandage following knee replacement surgery. He has published research on various aspects of hip and knee surgery. Mr Simon Garrett does not hold a share or financial interest in this hospital, another Nuffield Health hospital or the company. Mr Simon Garrett does not have a share or financial interest in equipment used at this hospital or another Nuffield Health hospital. Mr Simon Garrett does not hold any paid advisory role(s) at this hospital or on behalf of Nuffield Health.